This startling statistic is just one of the reasons why I have decided to use Beauty Counter products. Doesn’t it seem a bit odd that a country such as ours lags so far behind in consumer safety in regards to the cosmetic industry? It is no longer safe to believe that our government looks out for our health. I think we all know that there is business to be run and money to be made, so those two factors trump safety every time across the board. Unfortunately, it is women and children who pay the price. Women because they buy and use a majority of these products and the children second hand because what mom takes in, baby takes in while in utero. Yes, depressing isn’t it. 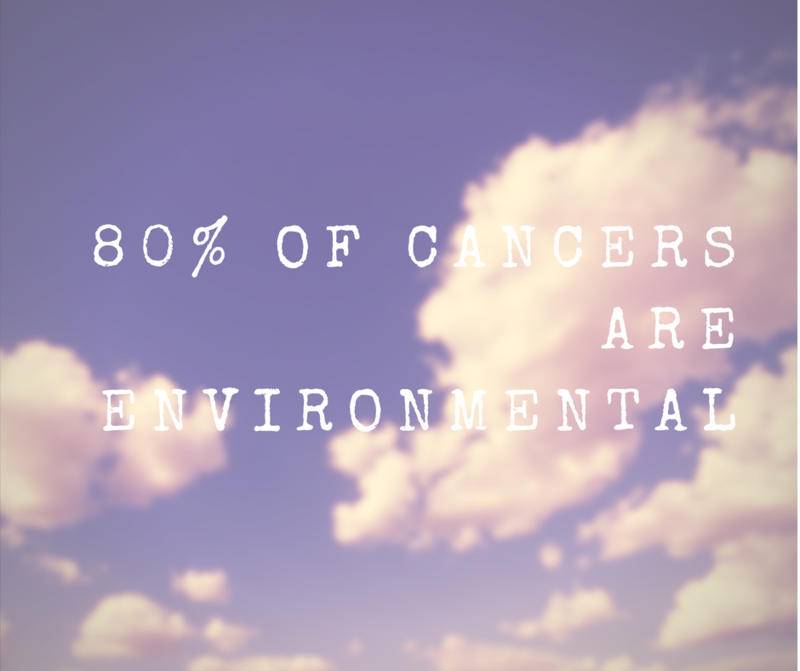 There are chemicals all around us, and you would drive yourself crazy if you thought you could control every one. There are over 80,000 chemicals in existence, probably more, and of those, very few are tested for safety. 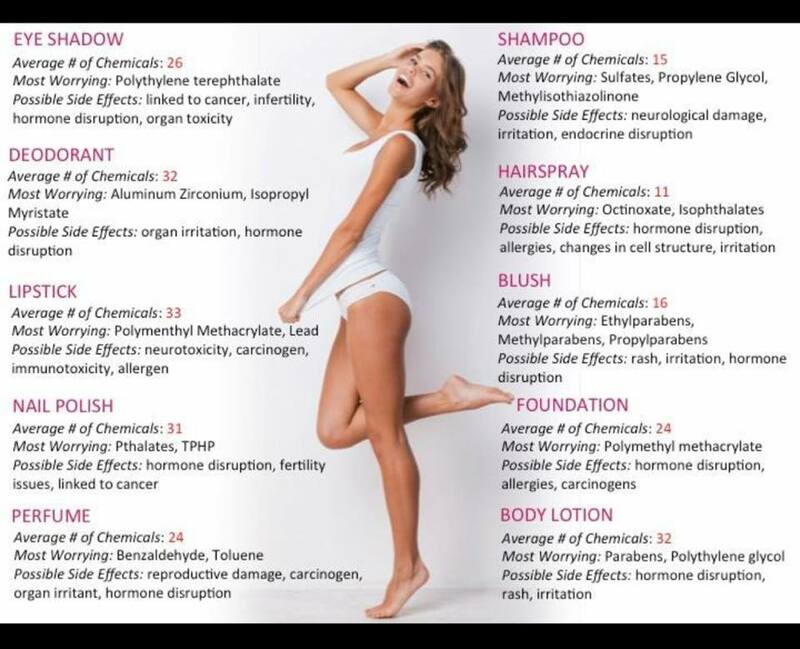 These chemicals that are found in food, beauty products, cleaning products, furniture, and more are creating a massive “body burden.” You will pay the price, eventually. Hopefully it’s not cancer, nor autoimmune, but it might show up as weight gain, hormone problems, skin issues, infertility, and even birth defects. A beautiful find at the farmers’ market. 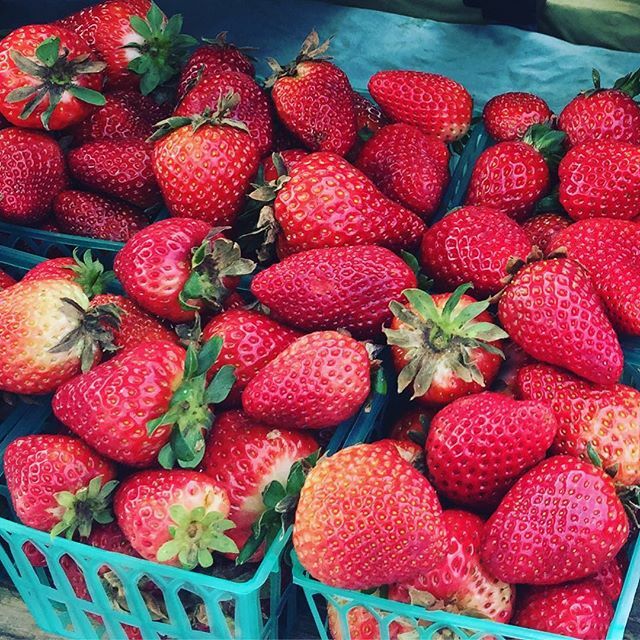 I choose the farmers’ market berries because a conventional strawberry can have up to 87 different chemicals in it from fertilizers to pesticides. We can control the food we eat and feed our family by choosing organic, and along with food you can choose what you put on your skin (your body's largest organ,) because it absorbs everything. So along with the food, I was always checking my beauty products. Because although I can’t control every chemical, I can manage the ones in my home. I buy organic food, make my household cleaners with vinegar and water, use essential oils, and I used to buy mineral based make-up. I tried no shampoo, egg yolks for shampoo, apple cider vinegar for rinse, and it was ok… Just ok. Just ok, because as I got older, I noticed the “tiny” need for a little more care for sun loving skin. And so I bought some other make-up that was performance based. It worked, but it didn’t make me feel great, and although I freely admitted to using this type of make-up, I was a little embarrassed that I had caved when talking to my nutrition colleagues. A couple years ago, I took a toxins class, and the make-up question came up. I was quickly introduced to an emerging young company called Beautycounter, and was immediately intrigued. Intrigued because they had this great idea, that more that just a beauty company they would also be an advocacy company advocating for clean beauty. 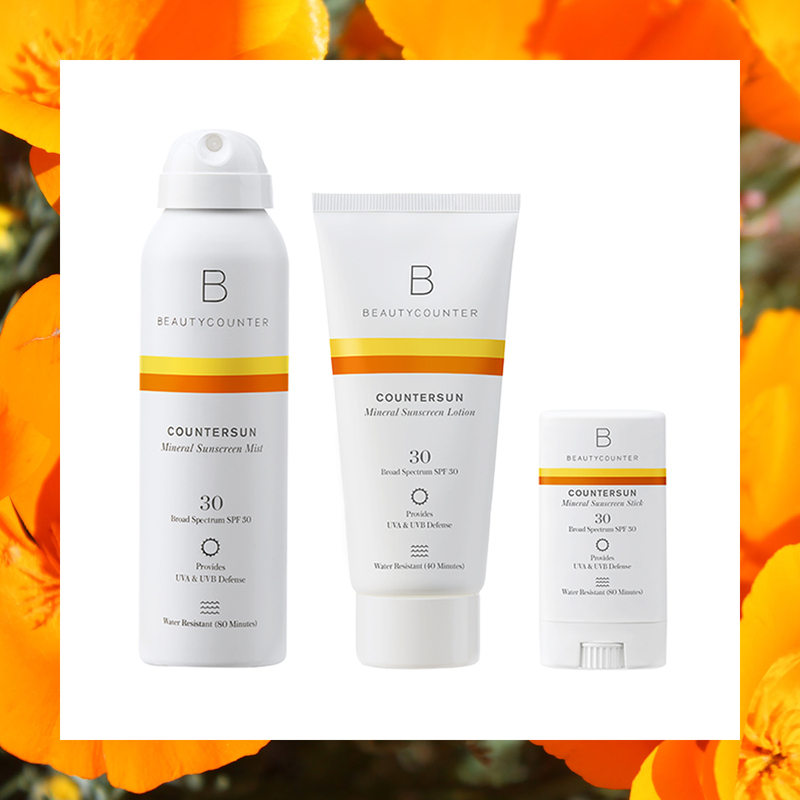 BeautyCounter is a totally transparent company, and to be honest, they are not perfect, but they strive to be. There are chemicals in their products because if there is water there needs to be preservative, but they have checked and double checked amounts so that they are in safety range. You can find information on all of their ingredients. 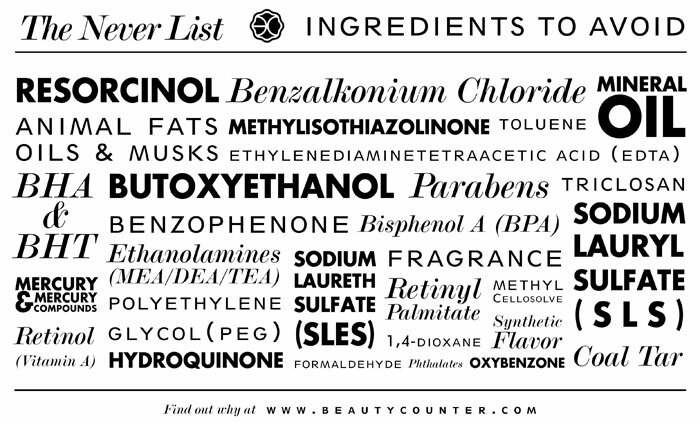 You might think that your expensive make up lists all the ingredients, but often times chemicals are hidden under the guise of “natural fragrance” or just “fragrance.” There are so many loopholes, and as a mom I want to know what my family is using. So what do I use? I love their non nano sunscreen, which is also ok for the reefs, and just back off a week long river raft trip on the Klamath River, this kept my family and I burn free. I also love the shampoo and conditioner, skin oils, body butter and lip balms. But if I were to name the one product I could not live without it would most definitely be the Nourishing Cleansing Balm. I even brought this on the river with me last week as well.